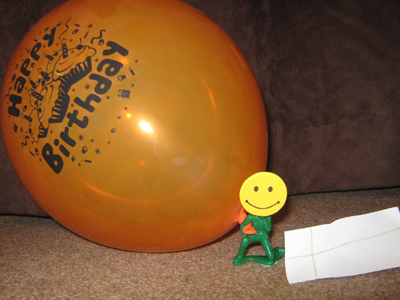 D: It’s Happy – he’s happy because it’s his birthday and he’s got lots of presents! This entry was posted on Thursday, January 17th, 2013 at 7:19 am and is filed under Uncategorized. Tagged: balloons, birthday, emotion, feelings, gift, happy, present, presents, smile, smiley face, Snow White, Snow White and the Seven Dwarves, soldier, story. You can feed this entry. You can leave a response, or trackback from your own site.